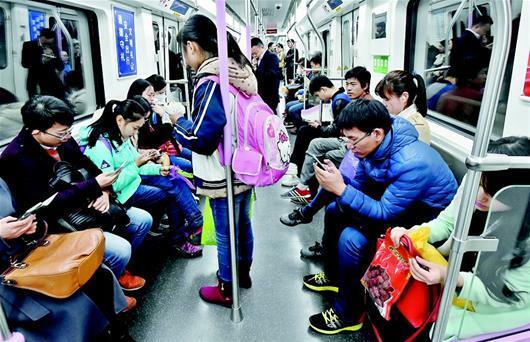 Wuhan, capital city of Hubei Province began to open free access to wifi on metro trains on November 29, 2016, becoming China’s second city providing such convenience for passengers after Shanghai. At present, the free wifi is only available at the first phase projects of Wuhan Metro Line 2 (from Jinyintan Station to Guanggu Square Station) and Line 3 (from Hongtu Boulevard Station to Zhuanyang Boulevard Station). Except for some new trains of Metro Line 2, all the trains thave completed free wifi coverage. The app called “花生地铁WiFi” is recommended to be installed for stable signals. The areas with free wifi mainly cover the platforms, train’s cabins and the tunnels.